Ripple Effect Gifts offers free hamper delivery across Geelong, Golden Plains and Ballarat, the Surf Coast and Bellarine Peninsula when you spend $150 or more. Otherwise, a delivery fee will apply according to the area your hamper is being delivered to. Surf Coast deliveries will be charged a $20 delivery fee. For unique gift delivery around Geelong, Golden Plains, Ballarat, the Bellarine and Surf Coast, build your own hamper or contact us at Ripple Effect Gifts today. Please check below to see whether we deliver to the suburb of your hamper’s recipient. We deliver to this suburb! Guaranteed same day delivery only applies when the order is received prior to 10am and is within our delivery areas: Geelong, Golden Plains and Ballarat, the Bellarine Peninsula and Surf Coast. Please check your delivery suburb in the drop down box above. Saturday deliveries only apply if your gift hamper order is received prior to 5pm on Friday and if it is within our local delivery area. During the summer months, please carefully consider your product choices when building your own hamper. If we are experiencing high temperatures it is possible that chocolate products will melt. Changes to delivery information can only be made prior to the gift basket being collected by our couriers from Ripple Effect Gifts HQ. If a change to the delivery address arises once the package is in transit, a new delivery charge will apply. An order can only be cancelled prior to collection, in which case a full refund will be provided. 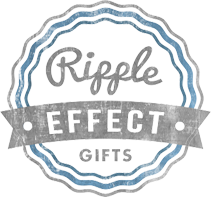 Orders cannot be cancelled once the gift hamper has left Ripple Effect Gifts HQ. You must be over the age of 18 to purchase gift hampers that contain alcohol. There must be someone over the age of 18 in attendance of the delivery address to receive a gift hamper that contains alcohol. A maximum amount of 1.5 litres of alcohol can be purchased per customer. Legally, you cannot only send alcohol in your hamper, you must choose at least 1 food or gift item. If you place an order that exceeds the legal alcohol limit you will be contacted by Ripple Effect Gifts to amend your purchase.